Highlights of Colchester's 1-1 draw with Chesterfield in the Sky Bet League 1 fixture. 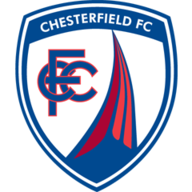 Lee Novak's second-half penalty earned 10-man Chesterfield a precious point at bottom club Colchester United following a 1-1 draw at the Weston Homes Community Stadium. Macauley Bonne handed the struggling hosts the lead with 20 minutes remaining before Novak equalised within five minutes to clinch a point for the Spireites. 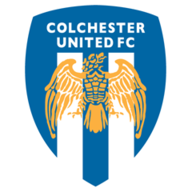 Colchester striker Bonne fired into the side netting early on before the visitors were reduced to 10 men in the 18th minute when midfielder Gary Liddle was shown a straight red card for a heavy challenge on Kane Vincent-Young, just inside the hosts' half. Spireites keeper Tommy Lee denied Owen Garvan and Chris Porter, the latter who also had an effort disallowed for offside just before half-time in a goalless first half. Chesterfield's half-time substitute Novak saw his half-volley flash inches wide of the far post early in the second half before Colchester took a 69th-minute lead through Bonne, who slotted home substitute Drey Wright's low cross from close range. But Novak equalised less than three minutes later, scoring from the spot after being fouled by Richard Brindley in the area. Colchester keeper Elliott Parish denied Sylvan Ebanks-Blake with his legs soon after, as the spoils were shared to leave the hosts eight points from safety at the bottom and their opponents just one point outside the relegation zone.